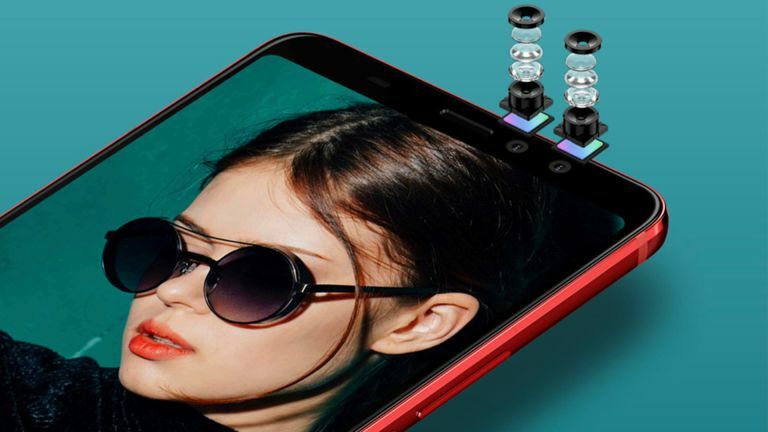 HTC has officially announced its new HTC U11 EYEs smartphone, the successor to the high-end HTC U11 handset. The big sell of this new handset is the dual front facing selfie cameras. Thanks to their combined efforts you get all sorts of smart features like HDR, bokeh background blur and beauty mode - all for selfies. The two lenses of the front facing snappers use a 5-megapixel sensor with an f/2.2 aperture which all tops out at 1080p for video recording. The rear camera is a 12-megapixel HTC UltraPixel 3 snapper with f/1.7 aperture. The HTC U11 EYEs is otherwise similar to the current HTC U11 meaning a 6-inch Full HD+ display (1080 x 2160) in that 18:9 ratio which is all covered in nice scratch resistant Corning Gorilla Glass 3. Under all that shiny glass is an octa-core Qualcomm Snapdragon 652 processor backed by 4GB of RAM and 64GB of storage onboard plus the option for microSD expansion for a further 2TB of space. Being similar to the HTC U11 means this EYEs model also comes with the famous Edge Sense technology. That’s the smarts that lets you squeeze the phone to activate certain features. It also comes with USB-C fast charging and has a rear-facing fingerprint sensor for security. HTC hasn’t announced pricing or a release date yet but has simply revealed the phone in Hong Kong. Here’s hoping it makes to the rest of the world soon.